Previously, we explained how to uninstall Microsoft Word on a Mac. If you need to uninstall the whole set of Microsoft Office apps, then this article will help you to do that both quickly and safely. Today we will share two ways to uninstall Microsoft Office on a Mac: manually and using an Office uninstaller tool. You can use these methods to remove all versions of Office (2011 – 2016). How to uninstall Office on a Mac manually. 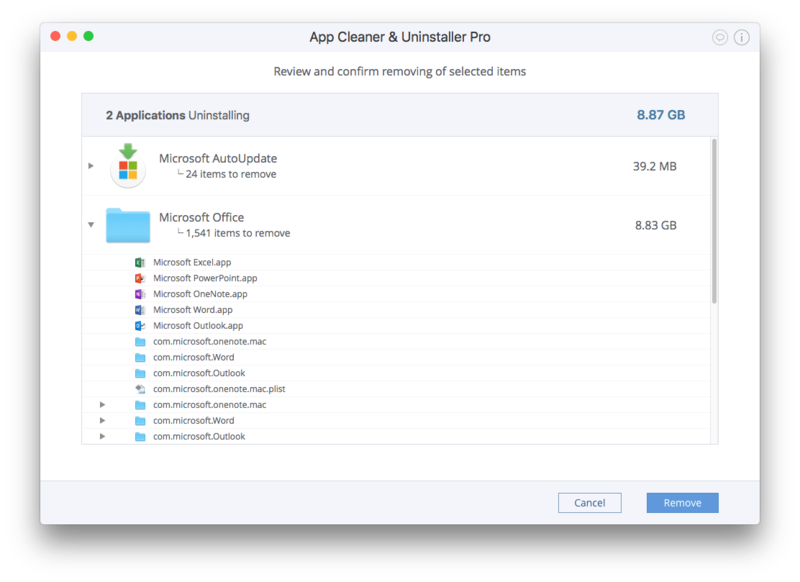 How to uninstall Office on a Mac using App Cleaner & Uninstaller. The first thing you should always do when uninstalling any app is to quit the program. So close Microsoft Office and make sure that there are no processes related to the app working in the background. 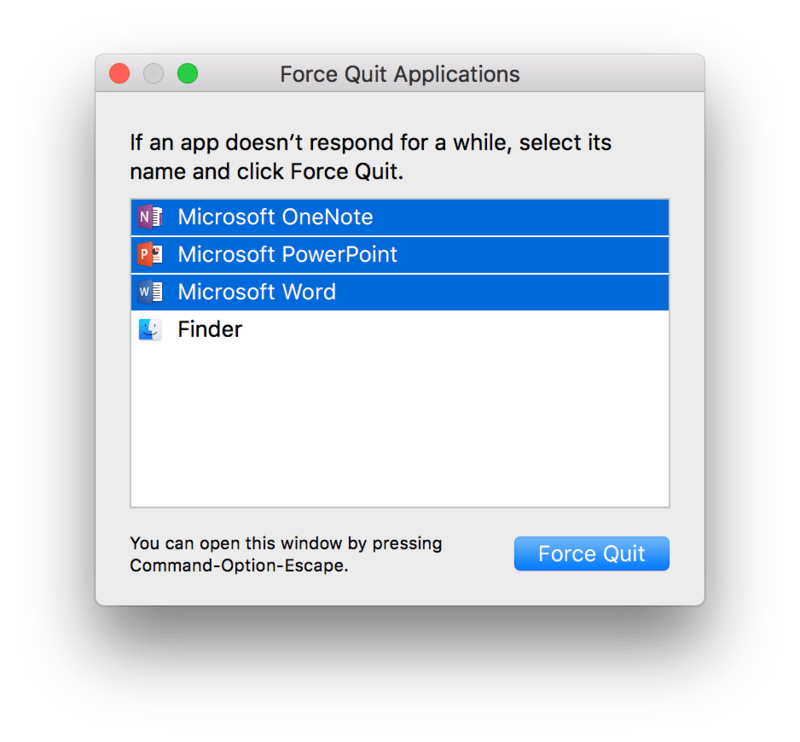 You can force quit Office right from the Dock panel or use the Command+Option+Esc shortcut to bring up the Force Quit Applications window. Now you can remove the whole MS Office set from the Applications folder. Usually, all the apps are located in one common folder. At this step, most users think that Office has been deleted completely. But we have bad news for you. Some apps’ leftovers still remain in hidden folders. So, you’ll want to proceed to the next step. Almost all of these folders are hidden by default. To find them, you’ll need to display hidden files and folders. Read the article “How to get to the Library folder on a Mac.” Or go directly to the desired folder by pressing the Command+Shift+G key shortcut and copying the appropriate directory there. As soon as you delete all unwanted service files of MS office, don’t forget to empty the Trash. Now you can say that you have uninstalled MS Office correctly. But, we recommend that you learn the second method of app uninstalling, as we promise that this time you can do it with just a few clicks. 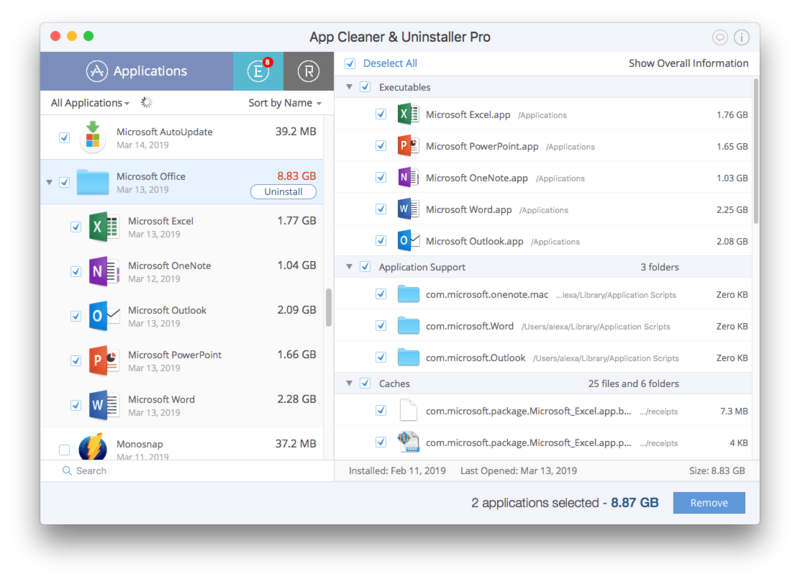 To delete MS Office quickly, you can download a special Office Uninstaller tool called App Cleaner & Uninstaller. It automatically finds all the service files of any app and allows you to uninstall applications completely. In the Applications section, select Microsoft Office and Microsoft AutoUpdate and click the Remove button. 3. Then just confirm the removal. 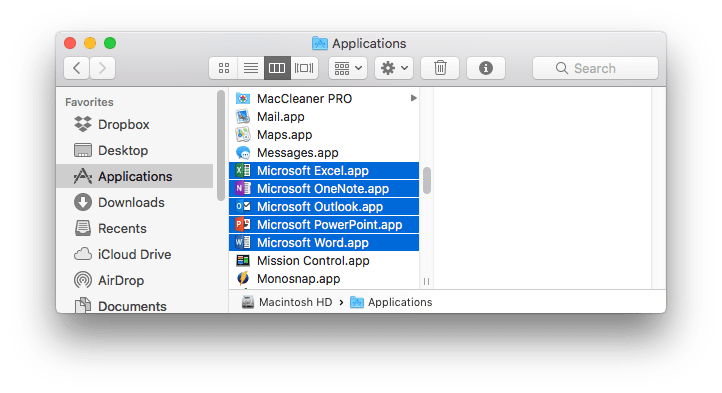 By the way, if you have already removed MS Office to the Trash in a regular way, you can easily delete all its service files using App Cleaner & Uninstaller. For this, just switch to the Remains section and you will find all the leftovers of apps that were removed previously.